We are 100% confident that you’ll be glad that you scheduled our company for your oven repair in San Antonio TX. We have a dedicated staff that takes each service call seriously and strives to do the absolute best that they can deliver. Call today for immediate and future bookings if necessary in San Antonio TX, and neighborhoods close by. San Antonio oven repair can be available to your household with just one simple booking. Call to reach an agent today for service as soon as possible. Feel free to inquire about same-day appointments when necessary. We know that there are a lot of companies out there to select from for repairs, maintenance services, and oven parts in San Antonio TX. Thank you for choosing our humble crew to do our very best for you. Our staff goes through intensive training to become licensed technicians. They are professionals in their respected field. Don’t hesitate to entrust our team with your valuable household appliances. Oven repair in San Antonio TX is just one of our specialties. We have a large following in San Antonio TX and hope to add your household to our list. Our crew of outstanding technicians is eager to deliver professional oven repair, appliance maintenance, and replacement of oven parts when needed. We like to think of our customers as family. We would love for you to come join our existing oven repair family today. We suggest routine maintenance for all of our customers to keep their major appliances running at full capacity. This helps to ensure that you get the most out of your oven. 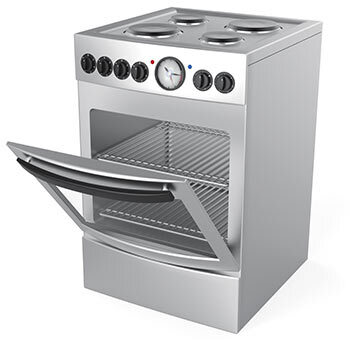 Maintenance can also help the oven parts to last as long as possible with regular inspections and possible tune-ups. If your oven is getting power from the wall outlet, but isn’t working, then it could be because of a blown fuse. Check if the oven has its own fuse assembly. This should be found below the cooktop, unless you can lift the top of the stovetop. If you identify an assembly for the fuses within your oven, then it means there may be individual fuses for everything, such as the oven timer and light. If any particular feature isn’t working right, it may be because of that specific fuse blowing, which can be replaced to fix the problem.